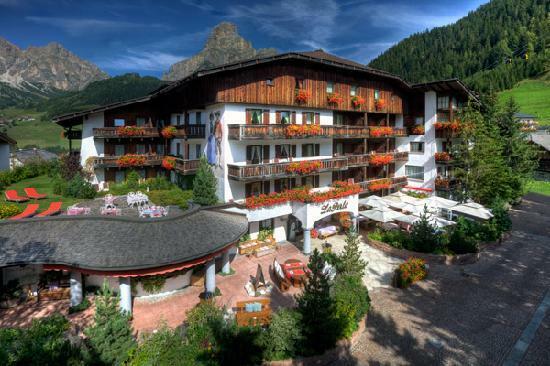 The La Perla hotel in Corvara, in the Dolomites, has partnered with Pinarello to create the Pinarello Dogma Lounge, a exhibition and meeting area at the hotel, and offer a variety of cycling services. The hotel is also offering guided tours, cycling vacation packages, and Pinarello bike rentals. Available are Dogma 65.1 Think 2 and Dogma CX 29" Asymmetric bicycles. You can find the road and mtb tour offers here. You will notice that some of the rides are lead by Maria Canins. A local hero, Canins, was the women's Tour de France winner of 1985, a silver and bronze medalist in the World Championships, and two time road Italian national champion. All the details at La Perla.